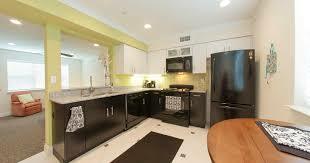 Living in these Studio Apartments is cost effective in compare to other living resources. One can easily afford these types of Studio Apartments. Being all the rooms are consist in one large room, it’s really easy task to decorate these types of homes. Due to only one room to heat, cool, and light – utility bills are very low compare to larger apartments. These types of home are suited to the young generation modern living style. Cleaning is a breeze with only one room to dust and vacuum. It is easy to reside in these Studio Apartments. The maintenance cost is low in these apartments compare to large apartments. The main drawback to a studio apartment is limited space. Its not easy to find these type of apartment in the nearby area.